Tired of buying bunches of herbs from the supermarket? Wouldn’t it be great if you could grow your own herbs instead? Well, you can. Herb growing is quick, simple, fun and saves you money on your grocery bill. Every garden should have provision for a herb garden! Find a spot in your garden that you can dedicate entirely to your herbs. Signs of the perfect herb garden would be the areas where the soil is well drained. Herbs do not grow well in very wet gardens, so you will need to first ensure that you find the right spot. 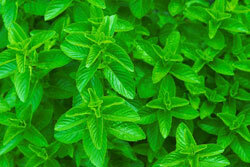 Growing your own herb garden is fun and enjoyable. Its also easy and an absolute must for any garden. Most supermarkets these days sell already seeded herbs that are great to use, as they will grow faster and you don’t have to wait for them to flower. At first, choosing the types of herbs you want to include may be overwhelming, so it’s a good idea to start with the essentials first. These include: parsley, mint, thyme and oregano. If you have more space, other great options include basil/sweet basil, rosemary, chives, lavender, dill and coriander. When laying out your herb garden try to ensure that you provide enough space between herbs. Some of these can flower into relatively large shrubs, so you need to make provision for this in order to ensure that your plants don’t kill each other off in order to survive. Creating little nametags for each herb bush is also a good idea, as remembering where each one was planted may not always be easy. Anything that is made out of wood or steel is ideal, as it will last despite the weather conditions. Write the name with paint instead of using an ordinary pen or pencil.